Will your disaster recovery plan come through when it matters most? Every business, no matter the industry or size, needs to plan for worst-case scenarios. That's especially true given just how much organizations depend on network connectivity, hosted solutions and software platforms today. A data center outage, network problem or other disruptive event can take critical systems offline for hours or even days, preventing business continuity – not to mention revenue flows. The good news is companies by and large recognize the value of disaster recovery. A recent Spiceworks report revealed that online backup and recovery topped the list of hosted services that organizations plan to budget for in 2019. While it's generally well-understood that disaster recovery is a crucial business requirement in the digital age, not all DR solutions and workflows are created equal. Problems can creep up during the disaster recovery process, impeding smooth failover or even resulting in a complete DR failure. "Resiliency and redundancy are the names of the game." Don't get caught off-guard at your most vulnerable moment; address these common disaster recovery issues before they strike. When it comes to disaster recovery, resiliency and redundancy are the names of the game. You want to have some geographic separation between your different IT architectures to prevent a single incident from affecting your entire network and technology environment. While there are many reasons why businesses may choose a local site for their data center needs – colocation, latency concerns, etc. – there should be enough separation between that facility and your failover site to maintain spatial separation. If a localized natural disaster strikes, like a flood or hurricane, you can rest easy knowing your core assets will transfer over to a data center that is out of harm's way. You can strike a happy balance between geo-diversity and localized governance to maintain control of your IT ecosystem without putting all of your eggs in one basket. Let's assume you have a disaster recovery plan in place (if not, be sure to draft one up as soon as possible). It's not unusual for those processes to have glaring holes or errors that prevent easy failover and system retrieval when actually put to the test. CSO contributor Beth Baxter noted that one of the most common reasons that disaster recovery processes fail is because decision-makers buckle under the pressure in the heat of the moment. No matter how technologically advanced your plan is, there is always going to be a strong human element to disaster recovery. The best disaster recovery solutions include detailed, step-by-step guides to help IT decision-makers navigate these high-stress scenarios and make the right calls. No one has to make tough judgment calls under pressure because the plan has laid every contingency out well in advance. The last thing you want is to find out is that your disaster recovery solution doesn't execute as expected when the decisive moment arrives. Regular testing is a core part of disaster recovery best practices. However, many businesses are content to run incomplete or irregular audits on their DR solutions, only to realize too late that there's a massive problem with their plans. As Baxter explained, companies need to check everything from data restoration and application retrieval to system configurations and DNS changes. There are a lot of components to the best disaster recovery solutions, and you want to be sure they all work perfectly. Good disaster recovery practices depend on proper planning and preparation. Take the time to diligently map out your disaster recovery strategy and procedure, and you'll be sure to execute them whenever needed. 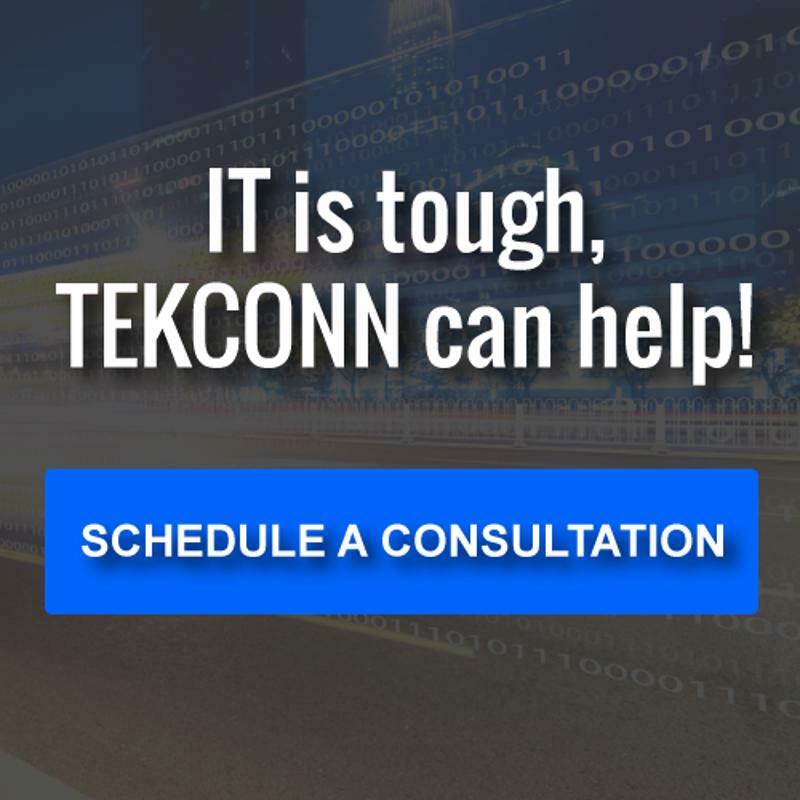 To find out more, talk to TEKConn today.